Just wipe with a supplied microfiber cloth spray and last 12 months! Coating becomes even stronger when applied repeatedly. Work in a place that is well evoked. 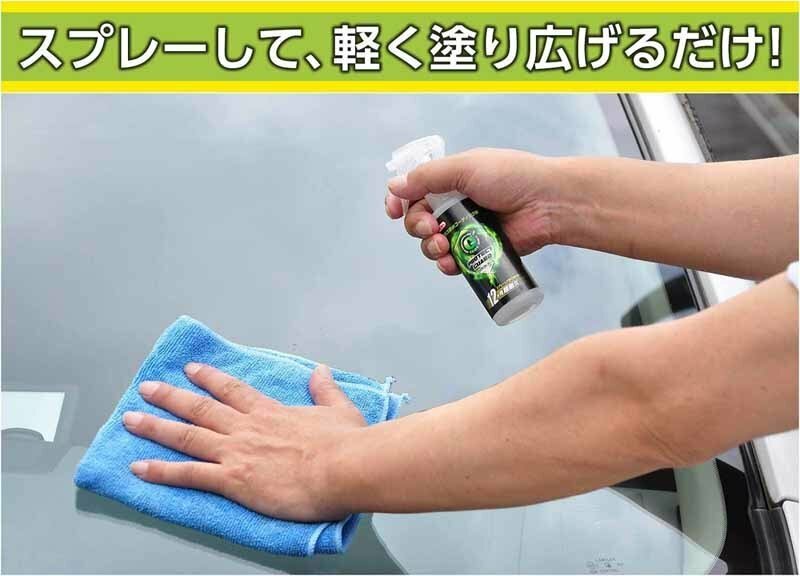 Since it will be difficult to spread or spread unevenness, do not use it when left for a long time while spraying or when it is hot in the scorching sun or the glass is hot. If it adheres to other than the glass surface, wipe it off with a towel etc moistened with water. Do not use during rainy weather. 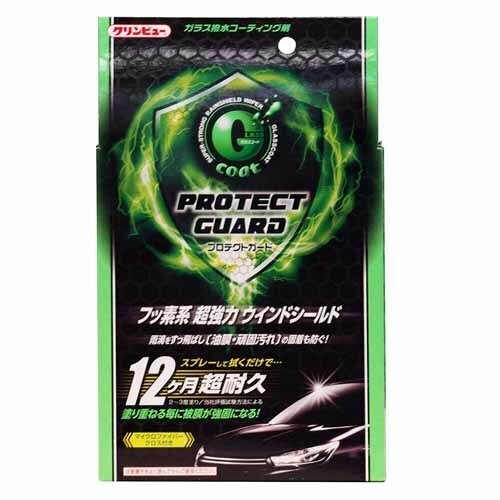 When the temperature is low such as in the winter, use the defroster etc. before warming the glass surface etc. 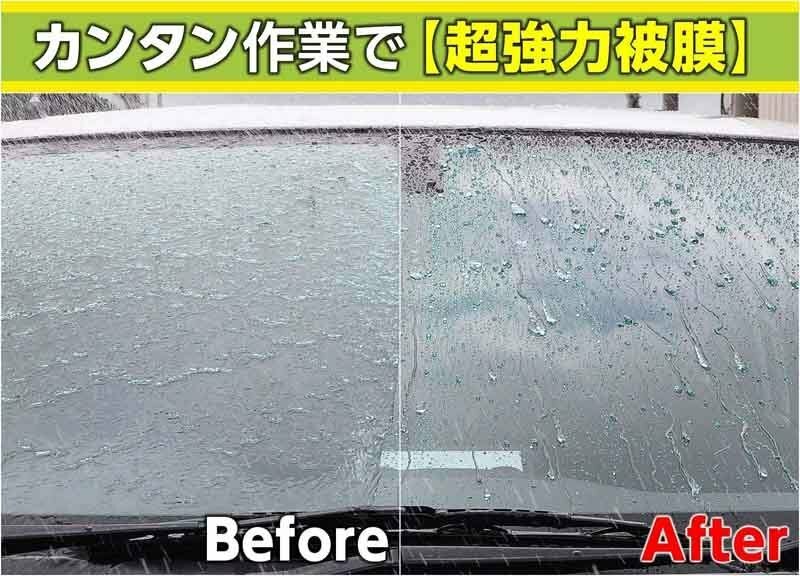 If the wiper blade is deteriorated or the pressure is high, the wiper may malfunction (chatter), so replace the blade or drop the coating if it does not go straight. Because it may causes scratches, do not try it in strong winds or sandy places.